Oman’s flagship dairy project, Mazoon Dairy Company, is getting prepared to begin operations later this year with the arrival of 1,600 cows from Australia. The cows have been transported to Mazoon Dairy’s 15 sqkm farm and centralised processing plant in Al Sunaynah. 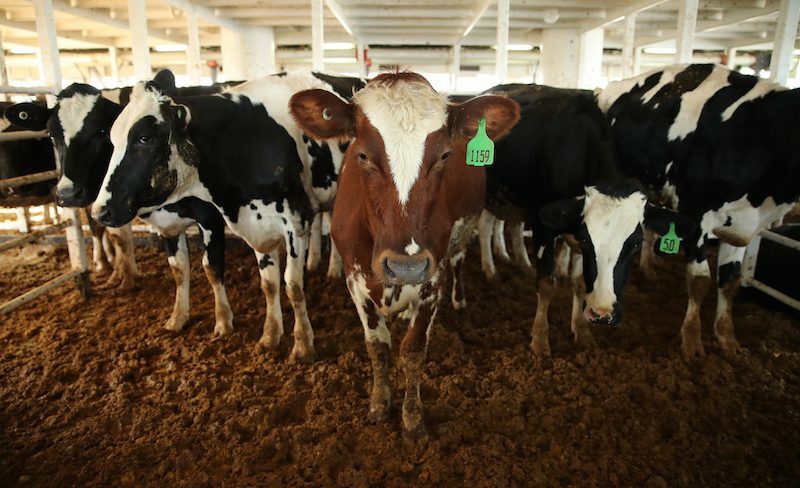 The animals are the first of 8,250 cows expected to be imported by 2020, a statement said. Production is slated to begin in the second quarter of this year with the objective to produce over 200 million litres of milk annually by 2026. The plan is to increase capacity to over 900 million litres by 2040. Once operational, Mazoon Dairy Company will provide dairy and juice products including milk, yoghurt, laban, fresh cream, cheese and ice cream. Mazoon Dairy Company was established in 2015 as a closed joint stock company between the Oman Food Investments Company and other government investment and pension funds in Oman with a total capital of RO100m ($260m). It will compete with other big dairy producers in the region including Almarai, Nadec and Sadafco in Saudi Arabia and Al Rawabi and Al Ain in the UAE.